November 8, 2011, cover of Charlie Hebdo magazine after the magazine's office was attacked by firebombing. The title reads, "Love is stronger than hate." On Wednesday, one of the gunmen was heard to shout, “We killed Charlie Hebdo.” Yet with help from French and global media groups, Charlie Hebdo will live for at least another week. Whatever you think of the magazine, this is good news. Wednesday’s attack was an assault on freedom of expression. The gunmen intended to silence Charlie Hebdo and its staff. Charlie Hebdo has always been about satire. “Reinforcing religious hierarchies” is anathema to its mission. Yes, the magazine’s caricatures sometimes rely on racist tropes, but that doesn’t inherently mean it’s “reinforcing racial hierarchies.” That’s not how satire works. I do not consider myself racist, homophobic, Islamophobic or misogynistic. “Being Charlie” doesn’t mean being any of these things, despite what you think about the magazine’s tact and tone. Neither does republishing the cartoons. As advocates for freedom of expression we must sometimes defend views we find repulsive. This doesn’t require us to endorse them. In this case, we must protect what gunmen tried to kill, a satirical magazine some deem offensive. #JeSuisCharlie simply means, “I defend freedom of expression.” It means showing solidarity with our fellow journalists, columnists, satirists and free speech advocates in Paris and around the world. 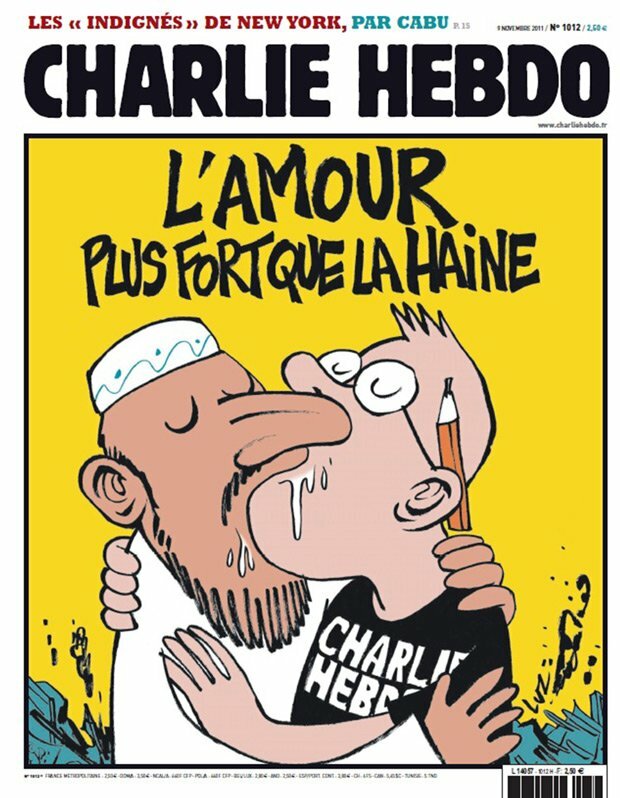 Part of me wishes #JeSuisCharlie meant having the bravery to persist after threat or attack without missing a beat, as Charlie Hebdo did post-firebombing in 2011, but it doesn’t. Only Charlie was so brave. That doesn’t mean we must now be cowards. Brian Pellot is based in Cape Town, South Africa.